Can brain training cure X? Can I just try 1 session? When will I start to notice changes? How many times do you need to do it? Placing sensors on your scalp, we take readings of the electromagnetic activity in your brain. We can then tell where your brain is overactive, underactive etc. With the help of the computer, we then pick protocols to bring your brain toward a state of balance and harmony. During protocols, your brain activity is monitored by leading-edge EEG equipment and then run through complex computer software algorithms. The computer translates the electromagnetic activity of your brain into sounds and music. Training involves sitting in a comfortable chair and listening to the music of your brain. As the brain hears a reflection of itself, it starts to make adjustments. It is similar to what happens when you look in the mirror...you can tell if your hair is out of place, or if there's something strange on your face. Naturally you move to correct it. When the brain gets a clear reflection of itself, it also naturally moves toward balance and harmony. In other words, brain training provides a mechanism for the brain to observe itself and the medium is music. The process is based on quantum physics. Quantum physics maintains that the act of observing something will alter what is being observed. When your brain has an opportunity to observe itself, it naturally begins to move toward balance and harmony. 10 sessions are typically completed over the course of 2-3 weeks. This is called a "Brain Training Intensive". While an Intensive takes 2-3 weeks, the brain will continue to integrate the training and develop new neural networks for a minimum of 3 weeks after sessions have been completed. 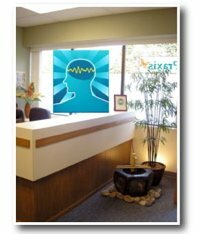 BrainWave is conveniently located on Pandosy Street and Groves Avenue, in the heart of the Pandosy Village Area of Kelowna, BC. We can be booked 4-5 weeks in advance, so it is best to plan ahead. After arranging a schedule, a 50% deposit is required to secure your booking. The balance is then due at the beginning of your series. We accept cash, cheques and MasterCard. Can brain training cure ___? While Brain Training has helped many people in many remarkable ways, it makes no claims of being able to cure. Brain Training is not intended to diagnose, prescribe, nor take the place of medical attention in any way. If you have persistent health concerns, please see your appropriate health care provider. Due to the nature of this process, we cannot offer single sessions prior to completing a Brain Training Intensive. First, in order to know how to train your brain, we must do a brain mapping assessment. Only after that can we begin to train your brain. A series of sessions are then required to give your brain sufficient opportunity to make adjustments and develop new neural networks. Doing fewer sessions than a full series would not give your brain a fair opportunity to make lasting changes. If you want to know more about the process, be sure to check out our Testimonials page and contact us for a Free Consultation at our office. This varies with each person, their unique situation, and their level of self-awareness. Some people start to experience subtler changes after 3 sessions. Many people notice some kind of changes beginning by session 6. The brain will continue to integrate the training and build new neural networks for a minimum of three weeks after the Intensive has been completed. In many instances, especially for longer terms issues, changes can occur even several months post brain training. This depends on each person, their unique condition, and their goals. Some people achieve their desired goals in one Brain Training Intensive. Many people benefit considerably with 2-3 Intensives. With more extreme long term conditions, it may take additional Intensives to retrain the brain toward balance and harmony. There are some people who simply enjoy the experience, notice the benefits, and are enthusiastic to repeat the process, in order to explore their full potential.